This is one of my earlier works, wrote this way back in the day. This one comes after MasterKong, but before SuperMasterKong and Super Stoner 420. I keep using the same sprites, because I have no artwork to work with. If you want to work on creating some art for these old games, then please contact me. 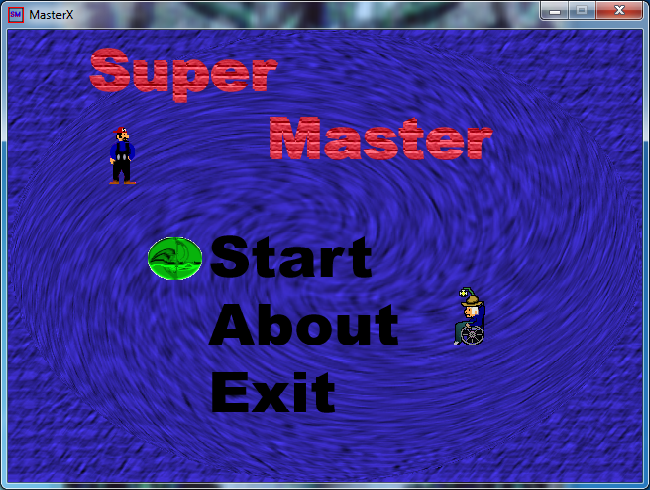 Download SuperMaster2 DirectX 9 for Windows.